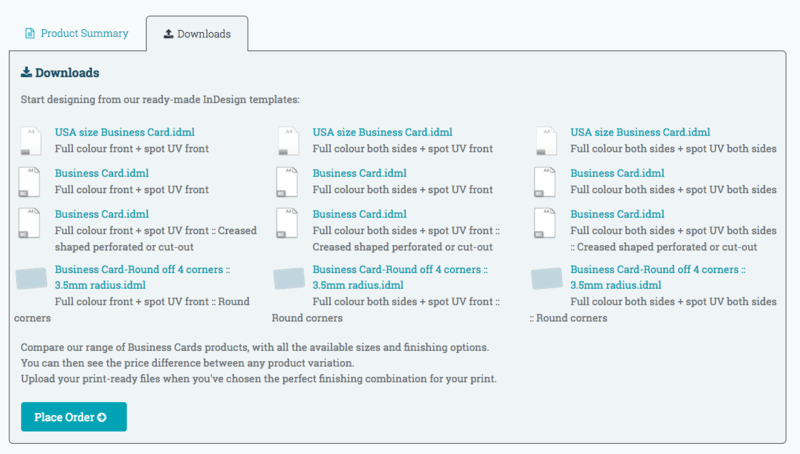 Our templates can now be downloaded from Product and File Upload pages. Simply select the size or style you require, click on the 'Downloads' tab and download the InDesign template. Includes all special finishes, like foil and spot UV, and fold types. Looking for a starting point or simply want to make it easier to build your creation? Below are a number of example files for you to start from. Don't forget to check out our file supply guidelines for advice on sending files to print.